Without further ado, from the depths of my hard drive are photos from last year’s garden. I was really surprised when I saw the photos for the first time in more than a year. The garden looked much better than I remembered. Mostly, what I remember from last year was total failure and heartbreak. It started when I decided to dig up the backyard. It only took three or four days of backbreaking work to dig the 10’x10′ plot, but it took weeks to physically recover. Everything was going good, great in fact. Then I noticed the big green tomatoes were disappearing. 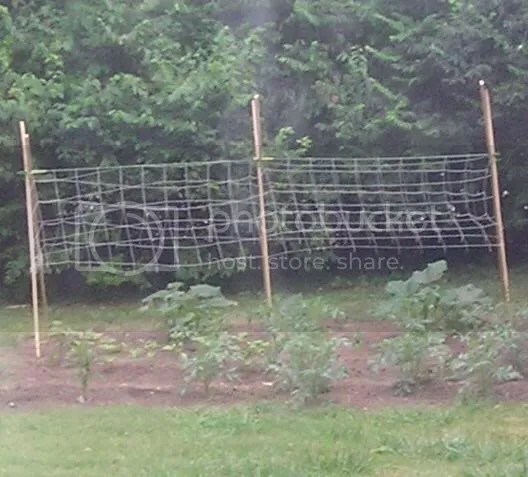 I didn’t believe it at first, but it seemed like there were fewer and fewer tomatoes on the plants. Then we confirmed it. We set up a webcam looking out on the garden from the kitchen window. 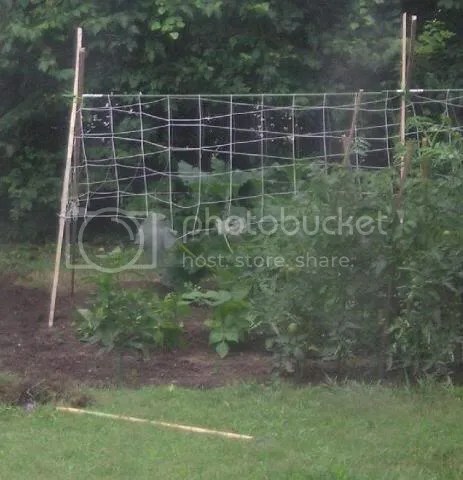 Less than 10 minutes later, the tomatoes plants started violently shaking as squirrels scrambled up plants and stakes, just as if they were climbing a tree. That’s really when it started going down hill. I think we managed to pick one green tomato that took about a month to ripen at room temperature. It was so disappointing, after all the work, to find the green tomatoes all over the ground with one squirrel bite taken out. I totally gave up, ending the garden by pulling out the tomato plants in exasperation. After how bad I felt about the garden last year I am surprised I was willing to submit myself to the fate this year. But I did. When I asked the landlords if I could dig up a small veggie patch this Spring, she said they would plow one up for me with the tractor. I ended up with a garden bigger than my wildest dreams. I could plant as much of anything as I wanted, even watermelons and sprawling plants I has never dreamed of growing. It’s only been a little more than a year, but its been a long hard road, full of learning experiences often through failure. Hey, it’s snowing on your homepage!!!!! Happy holidays!